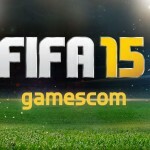 Innovations to the franchise’s award-winning gameplay will make FIFA 14 the complete matchday experience, introducing features that inspire fans to build play through midfield, dictate the tempo of a match and create rewarding opportunities. Great football matches are achieved through measured build up and incredible finishing. 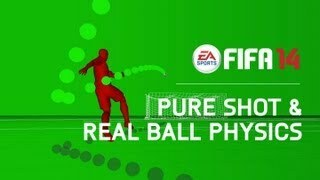 A new feature in FIFA 14 called Pure Shot and a brand-new ball physics system will transform shooting, making every shot attempt feel real, and when players connect with the perfect strike, feel exhilarating. Finishing has been transformed with Pure Shot so players have the intelligence to adjust their stride and approach angle to find the best position for hitting the back of the net. Well-hit balls feel more exhilarating and rewarding. New shot types include pure strikes, as well as off-balance and rushed shots. Plus, Real Ball Physics now determines the trajectories of balls, enabling players to kick the ball with force from distance, drill low rising shots with accuracy, and blast dipping or turbulent shots, just like real footballers. Fans will be able to create rewarding build up to opportunities and have the tools to dictate the tempo of a match through four new features. Protect The Ball will enable players to fend-off and block defenders from the ball while dribbling at any speed, or out-muscle opponents for position before receiving the pass, then turn defenders to carve out opportunities. Teammate Intelligence has been improved on both sides of the ball. New decision-making logic delivers tighter, smarter marking and improved run tracking where defenders recognize opportunities to provide support and win back possession, while attacking players have new ways to outsmart their opponents by creating space for themselves, running along the backline and checking their pace. Major changes to ball control add new tools to win the midfield battles. Sprint Dribble Turns enable players to turn in every direction at sprint speed while preserving momentum, delivering the control and confidence to take on defenders one-on-one. Variable Dribble Touches introduces variety on touches when sprinting. Skilled players will have better touch and more control when sprinting with the ball. In addition to innovations to gameplay, FIFA 14 is introducing a game-changing new way to play Career Mode. The Global Scouting Network brings the world of professional scouting to life. Players now develop and refine a scouting network and search for talent year-round. Scouts can evaluate footballers all over the world to uncover the attributes and traits of every player in the game, in preparation for the transfer windows. Plus, a new hub delivers easy navigation, fewer interruptions and live scouting reports. FIFA 14 will deliver engaging online features and live services that connect fans to the heartbeat of the sport – and to each other -through EA SPORTS Football Club, making FIFA 14 football’s social network, where fans connect, compete and share with millions of others around the world. 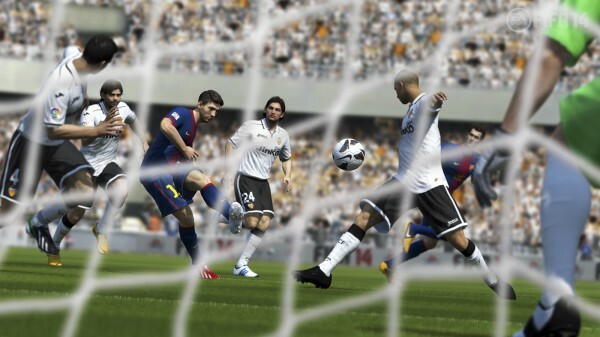 In addition, check out our FIFA 14 Gallery which will build as more and more FIFA 14 images appear.